I really enjoyed Burying Water and ever since I was eager to return to this series. Becoming Rain is just as good as the first book and kept my attention with the awesome combination of a great romance and a slow building suspense plot. 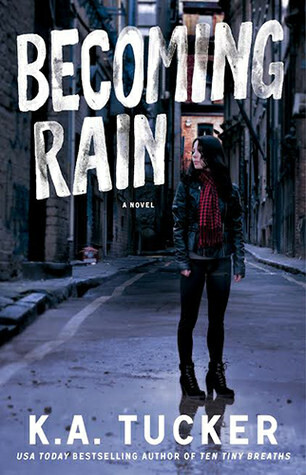 Becoming Rain focusses on Luke Boone and Rain/ Clara. Clara is an undercover cop who needs to get close to her target Luke to reveal the illegal car trafficking ring they think he’s involved with. Luke slowly get’s more involved in the illegal side business of his uncle Rust and slowly falls in love with rain. I could hardly put this book down as I had to know what would happen next. I knew Rain is lying to Luke about who she is, I knew Luke is doing illegal things, I knew these two are great for each other and things couldn’t end well. I couldn’t see a way for them to get out of it. It felt like the police are closing in on the car theft ring and the danger get’s upped and Luke and rain fall more and more in love. And gah the suspense was really well done, it made for an exciting read. And I was satisfied with how it all got wrapped up in the end, although there was a big time jump and a few scenes that felt like they had potential for more. There’s also some conflict I would’ve liked them see it work through a bit more, as it felt a tad too easy now. Luke is a good guy who get’s involved in some bad things. I didn’t like Luke at much in the first book, but now that we get his point of view I quickly changed my opinion. It all made more sense why he did the things he did and how much he looked up to his uncle Rust and how badly he wanted a bigger role in everything where Rust was involved. I liked seeing him change and develop in this book and having him deal with what he got involved with and seeing how it all worked out. Then we have Rain, who needs to get close to Luke to unveil what he knows. At first it’s just a job to her, but then it becomes more and I really believe she does help him and they are in a better place at the end of the book. Lying characters are one of my pet peeves in books, but here it worked and it made sense. Rain couldn’t just tell Luke who she was as that would ruin the whole case, but I did like how she tried to do both and see her struggle with her loyalties. I really liked the romance in this book, it develops slowly, but at a nice pace. They keep a lot of secrets at first, but get more open as the book progresses. I really liked these two together and it was great seeing them fall for each other, especially from Rain her side, she knew this was a job, but she couldn’t help but fall in love with Luke. I really liked them together, although the lies Rain was forced to keep made me a bit uncomfortable at times and I felt like I was always waiting for things to come to light and break these two apart and I wasn’t sure how they would survive that. Beside that there are some great side characters. Some of them who I was really wondering about where their motives lie. there was one female side character that really surprised me towards the end and I was great to get that piece of insight in her character. Then there is Rust and Miller, who both seemed unlikeable in the first book, but in this book I realized there is so much more to these characters than I first thought. I liked getting a glimpse from their personalities and why they were involved in this. Then there are the two dogs Licks and Stanley, who were a great addition and I liked these two dogs and their quirky personalities. We also get to see Jesse and Alex in this book and their story also still plays a part and fits into this one. I liked how this got tied in with the first book like that. To summarize: Becoming Rain was an awesome sequel to Burying Water. Knowing that Rain was undercover to arrest everyone involved in the car thief ring, made for an exciting plot as you knew this couldn’t end well and I couldn’t wait to see how things would play out. The characters are great and made this book shine. I felt like I changed my mind about quite some characters whom we met in the first book and I had fun getting to know them better in this book. Luke turned out to be a good guy and a likeable character who got messed up in some bad things, but who genuinely cared about his uncle and wanted to follow in his footsteps. Rain was an interesting character and I liked seeing her fall in love with Luke and deal with her conflicted emotions and loyalties. There were a few scenes at the end that felt like there was a bit more potential, but overall I really enjoyed this book! 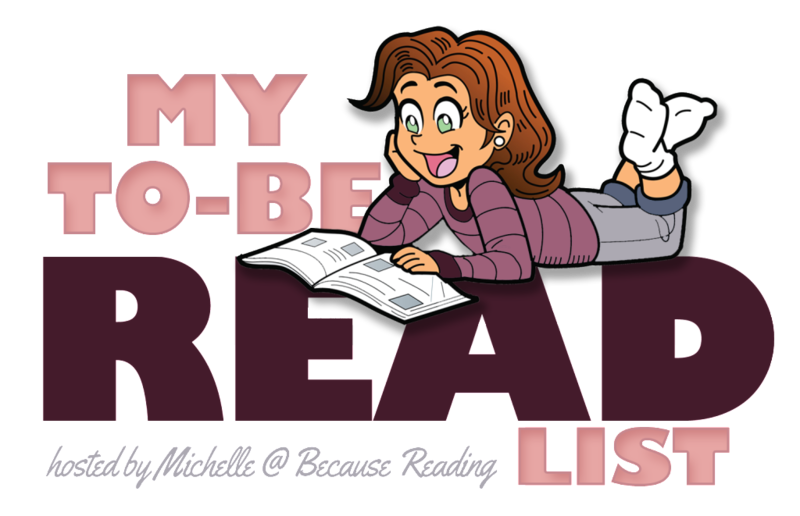 When reading a series with multiple main haracters, have you ever had a character you didn’t like till he/ she got their own book? I like it when in a series, someone we don’t like in a book turns as the main character in another and we get to have his own point of view, then change our own, it’s a nice twist 🙂 And I’d love to read this series, hope I’ll get to it soon ! Great review, Lola ! Yeah it was really interesting to see his point of view and then change my opinion about him as a character. I hope you get the chance to read this series, I think you would enjoy it! Great review, Lola! And I agree, this series is really well done. I just love most of Tucker’s books, as she manages to create such life-like characters. After I finish this series I might have to check out her other series as well. I agree she creates such life-like characters and it’s awesome reading about them. I hope I can read the next book soon! Fantastic Review, Lola! I am so glad you are enjoying this series! Thanks! It’s a great series and I am kinda happy I only started it once all books were almost released as now I can read them soon behind each other instead of having to wait. Yay! I’m so happy you enjoyed Becoming Rain as much as you enjoyed Burying Water, Lola. It seems as though Tucker does really well with a slow-build romance coupled with suspense. I’m really curious about how things work with Rain and Luke, considering they fall on opposites sides of the law. And yes, I have fallen for characters that I didn’t much care for in one book once they got their own. Great review, Lola. Enjoy your weekend! I really am enjoying these type of suspense novels and combined with the great characetrs and slow building romance it’s a great series. I was really interesting to see how it worked out between rain and Luke and how they were on opposite sides and fell in love. I like it when an author can make me care about a character that I didn’t like much at first. Luke his behavior and personality makes so much more sense now that we get his point of view. Thanks for stopping by Brandee, you have a great weekend too! It was a great sequel, just as good as the first book :). This sounds like an interesting read! Glad you enjoyed it! It’s a great series so far and I am really enjoying this type of romantic suspense books. It took me a long time before I finally gave her books a try, but I am glad I finally picked up this series as it’s awesome. I really like series where the books are more companions with different main characters. It is nice to get to know someone better with their own story. Glad you really loved this one! I do want to read these. Me too, it can be fun to keep up with characters from the previus books, while also geting two new main characters and a new romance with each book. And it’s fun to get to know characetrs who were first side characters more once they get their own book. Such a unique romance situation. I was the same way- waiting for Luke to realize what was going on and knowing it would ruin everything. And yeah, that was some good suspense. Glad you liked it! I have had a few characters that changed for me when they got their own book. My mind is blanking on the exact titles at the moment. The suspense was done so well. I really like this type of suspense, where you know things are going on and probably will go wrong and you’re just waiting for that moment. I remember how you commented on my blog when I said I didn’t like Luke at first in the first book and you said that would change when I read this book and you were right! It just felt like all his behavior made more sense now and we get a better feel for him as a character. I sadly have had the opposite happen once too, there was this series where I didn’t like one of the three sisters and when we got her book I still didn’t like her. I much prefer if a book proves me wrong and makes me like a character I didn’t like as much at first.